Double edge trimmer DE-38 is identically designed with Virutex AU-93. The cutting range is from 1/2” to 1”. The blade of edge trimmer is made of hardened alloy steel, SK-5, which is more durable than any tool steel . 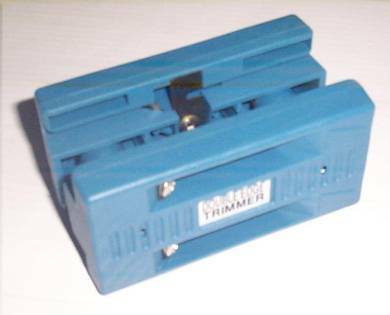 The blades of edge trimmer could be replaced once worn or dull.